1. Pen & ink drawing and imaginative drawing. 3. Collage-fun with collage. A brief look at the history of collage. 4. Drawing with collage – experimenting with materials. 5. Collage – cut-outs and printed imagery. 6. 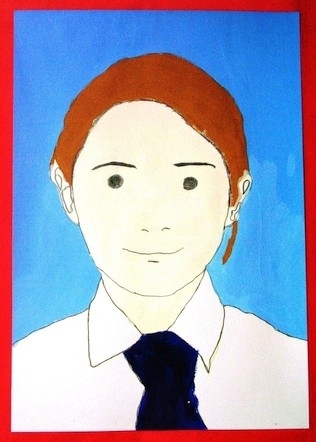 Self-portrait – in the manner of Julian Opie. 8. Finish self-portrait, mount and display. James Matthews M.A. is an artist and art teacher currently working and living in the United Arab Emirates. He gained his Master of Fine Art Degree at the University of Newcastle upon Tyne and Bachelor Degree in Fine Art at the University of Hull, England. James has exhibited his work on a frequent basis in the United Kingdom and the U.A.E. He has taught art to all age groups from primary to adults in many prestigious UK schools and schools in the Emirates. He has won awards, prizes and commendations for his artwork. James is currently involved in producing his own work and work on commission for clients in the UAE. He has produced work for both public and private commissions.